Too many Ohioans are still struggling in today’s economy. They work hard, but still have trouble getting by. For many workers, it feels as though the harder and longer they work, the less they have to show for it. Over the past three decades, wages for American workers have stagnated, while the number of hours workers spend on the job has gone up. The middle class has shrunk in every state across the country, including Ohio. A Pew Research Center study shows that the share of adults in middle-income households has fallen from 61 percent in 1970 to 51 percent in 2013 — and in Ohio, the share of families in the middle class has dropped below 50 percent. We need to do more to build on-ramps to the middle class for hard-working Ohioans, and our country took one important step in that direction last week. President Obama announced a new rule that will allow more Ohioans to qualify for overtime pay, meaning more money in the pockets of Ohio workers. The White House estimates that 160,000 Ohioans will now be eligible to earn overtime pay. When workers put in the extra time, it should be reflected in their paychecks. It’s past time to give more middle-class workers the opportunity to earn overtime pay, which is why my colleagues and I sent a letter to the president earlier this year urging him to make this important change. This is an important step that will help families make ends meet, as well as boost consumer spending and bolster our economy. But there is still more we need to do to support American workers. We need to give hourly workers a raise by raising the minimum wage. Legislation I helped introduce, the Raise the Wage Act, would increase the minimum wage incrementally to $12 an hour by 2020, giving a raise to 1.4 million Ohioans. Minimum wage and tipped workers shouldn’t have to struggle to get by. They deserve to earn a living wage to help put food on the table and care for their families. All Ohioans also deserve a day off when they get sick. Two million Ohio workers currently have no paid sick leave at all, and are faced with impossible choices: do they stay home to care for a sick child, or do they go to work so they can put food on the table? We know that workers are happier and more productive when they’re healthy. Guaranteeing paid sick leave for everyone would save precious health care resources, give employers safe and stable workplaces, and give families peace of mind. That’s why we need to pass the Healthy Families Act, which would end the agonizing choice faced by too many families, by allowing workers to earn up to seven days per year in paid sick time. Overtime pay is critical — but it’s only the first of many steps that we need to take to support hardworking Ohio families. 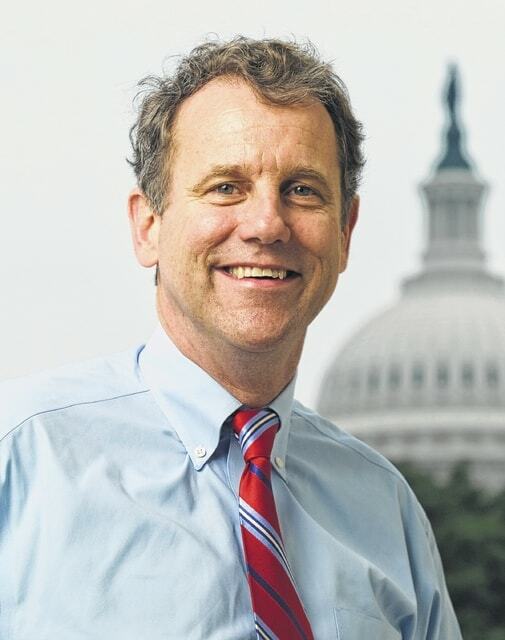 Democrat U.S. Sen. Sherrod Brown represents Ohio in the U.S. Senate in Washington, D.C.